Please note: Physicians Authorization Form required for purchase. Click Physicians Authorization for details. 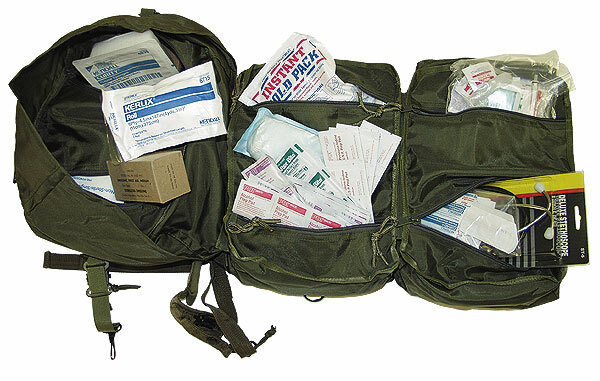 The government issue style Elite First Aide M17 Medic Bag includes over 250 items. Dimensions: 16" x 10" x 13.5"
2 Field dressing 11” sq.